Do you want to make money online? 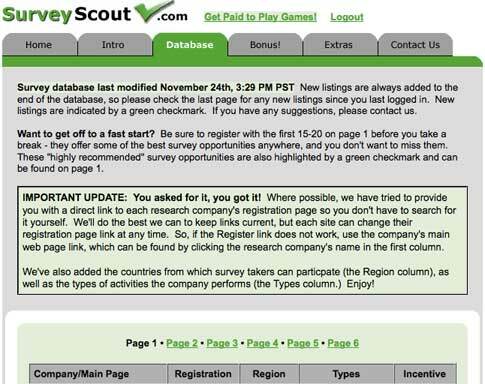 Taking online paid surveys is a great way to earn some extra cash. The only problem is avoiding scams and finding the right paid surveys that offer decent rewards and get them to you on time. 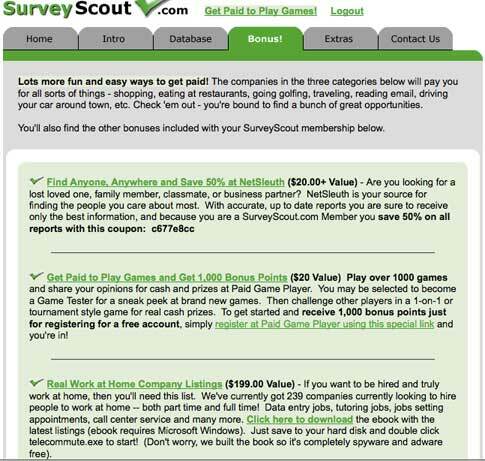 You should sign up with these five paid survey sites. They’re reliable, have been around for years, actually pay the rewards they promise, and never send you spam. I’m a member of all of these sites and have gotten rewards from each one. This company has been around forever and provides surveys for major companies. They’ll send you tons of surveys and offer some awesome rewards. This paid survey site is loved by all who sign up. They offer a low $5.00 minimum payout and pay promptly. Opinion Outpost is known for making its panelists happy and always willing to take more surveys! You should definitely sign up for this site, you’ll be pleasantly surprised. I made $50.00 in two and a half months. This is another well known paid survey company. They offer a lot of great prizes and a ton of people win them. I know one guy who won a sports package that included a pool table. Decent rewards, lots of survey offers, and on-time payout are what makes people stay with Zoom Panel. I’ve been a member for a few years now and I have received a handful of great prizes. Global Test Market will send you surveys on a daily basis. It’s very easy to rack up points and earn money. A lot of my friends use this as their primary paid survey site. Good luck with earning money online! Check out Flurbl’s other articles to get some more online money making ideas. Be sure to leave us a comment and let us know how your earning adventure is going! Just to let everyone know, Reviewstream has increased their article payment up to $2.50 per review. That’s a 25% increase! So many people have been asking how to get paid the full rate on Reviewstream. Well, there’s no specific formula that I know of, however from experience I can tell you some things. Spend less time describing what the item/place/service is about. For example, don’t spend two paragraphs writing about the features of a cell phone. Just say what you thought about the features. Try to sneak the name of the item/place/service into the review a few times. This helps it show up in search engine results, making it worth more to Reviewstream. Make sure the review is at least around 300-400 words. I don’t know the exact number, but sometimes your review will be rejected. Just write a little more and it will be accepted. Sometimes you can write 600 words and still not get the full rate. Remember, it’s quality, not quantity! Don’t panic if you get a page saying “your review is not valuable.” It just means it wasn’t long enough. Go back and write a little bit more and throw in the name of the item/place/service once more. If you haven’t already, you should click here to start writing reviews with Reviewstream.